Over the weekend, I needed a break from the terrible condition of the air in the Bay Area due to nearby wildfires. So I headed over to one of the most peaceful places in the city that I know: the Osher rainforest at the California Academy of Sciences. The five story rainforest did not disappoint. With five stories of lush vegetation, 1,600 living creatures, and clear, humid air, it was just what the doctor ordered. One of my favorite parts of the rainforest is the butterfly / moth emergence display. 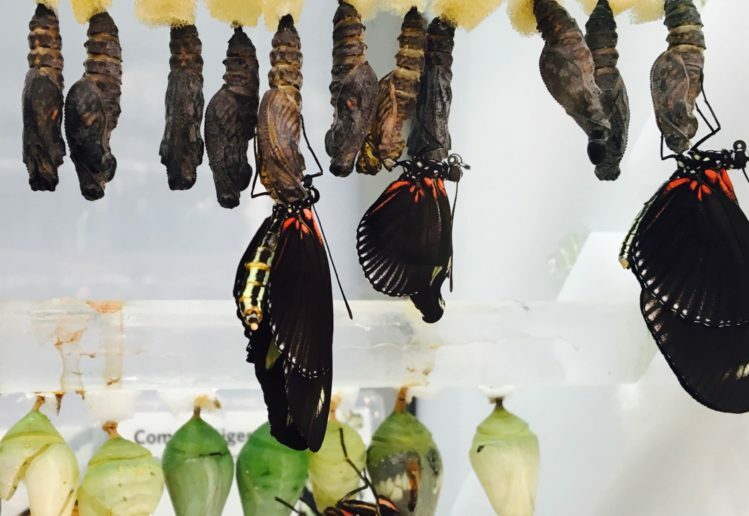 The glass enclosed unit showcases several rows of butterfly chrysalises and moth cocoons, at various stages of development. For years, I’ve walked by this display and had to stop to check out the various insects in their different forms. But I had never seen an actual butterfly emerge until this Saturday. I was holding my breath the whole time this was happening. It was just so incredible watching the little butterfly slowly emerge. Over the next few minutes, I watched as its little wings slowly unfurled, longer and longer, next to its neighbor. Meanwhile, two other butterflies emerged while I waited! It was so thrilling. 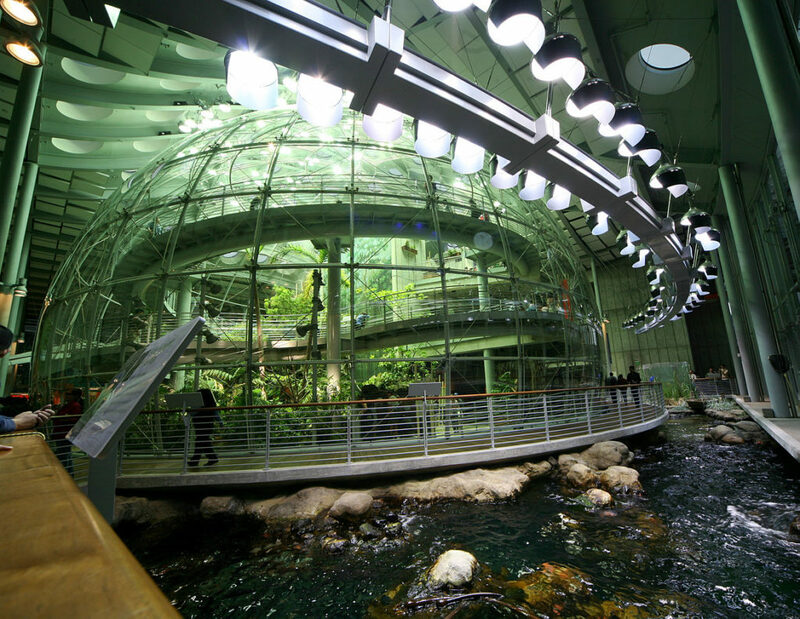 It’s moments like these that science museums and centers like the California Academy of Sciences were built for. Despite working in the museum for many years, I never lost that sense of wonder and amazement when encountering nature up close in our rainforest and aquarium. Here’s a more professional video about our butterfly emergence display, featuring incredible science communicator and biologist Tim Wong.